Continuing my foray into the writing of Edith Wharton, The House of Mirth was next off the pile after The Age of Innocence and I think I had perhaps stumbled on the best reading order. The former went some way to laying the foundations (sorry) for the latter; one elaborating on the life, social habits and unspoken rules of Old New York, the other revealing the dire consequences if a person couldn't quite fit that mould for whatever reason. The reasons could be manifold but predominantly a lack of money 'earned' ( I use the word lightly) in the right way, and sufficiently long ago so as not to be 'new', was enough to exclude most people from the hallowed inner circle, and Lily Bart is up against it from the off. With little appreciation of the value of money or what may be involved in its aquisition, Lily has little concept of what will follow when the family fortunes are ruined and her father subsequently (and probably gratefully) dies. When her mother's death throws her on the mercy of her aunt Mrs Peniston, who will 'try her for a year', the die is cast and Lily's reliance on others is complete. Rootless and effectively home-less Lily must become a social chameleon, an actress who can supress her own desires and personality, an artist who can paint the picture others want to see in order to blend into any background and fulfill any role required of her to remain within the circle. The circle itself a relentless round of ennui, falseness, monotony and vanity for the women especially, who will only be preserved within its precincts if they can lay claim to a man and a fortune. One of Edith Wharton's most consummate skills for me as I read The House of Mirth was to sustain the edge and my interest through the middle third of the book. With its focus on the vacuity and sustained ennui of the social lives, hours spent fretting over the minutiae of social niceties...well that same sense was almost invoked in this reader. I wondered too whether Edith was imagining, to some extent, the life that she had escaped from, the one that she had married into, a life of unquestioning obedience to shallow social values that left women disempowered. I dipped a toe (just a toe) into The Theory of the Leisure Class by Thorstein Veblen. Published in 1899 it is considered the definitive analysis of the 'socio-economics of affluent American societies, and its truths could very much have been the blueprint for The House of Mirth.... 'Wives flaunted as trophies, their bared bosoms draped with jewels, as proof of their men's wealth and success', suggests Martha Banta in her introduction. Oh no, not another carriage drive down Fifth Avenue. There is a marvellous moment when Lily performs in a tableau representing Mrs Lloyd, a painting by Sir Joshua Reynolds. It says much about Edith Wharton's vision of Lily and no wonder the tableau caused quite a stir. The last person on God's earth you would want to excite is the portly, rather rubicund and everso slightly eager Mr Gus Trenor. Poor Lily, the consequences will be profound. Then it was "Oh no, not another cruise," except this one is different, Lily will be deceived, used and deeply humiliated, the sacrificial lamb finally taken to the altar in order to rescue a marriage in distress, unceremoniously dumped in the South of France and her downward spiral begins. 'I wasn't meant to be good,' says Lily ultimately broken on the wheel, and though I am sure everyone knows the ending I won't spoilt it for those that haven't read this one yet. The denoument felt neither melodramatic nor overwrought and given events Edith Wharton could be forgiven for descending into either or both. Instead the brushstrokes felt featherlight and tender as I sniffed my way through. Suffice to say I was completely absorbed and utterly convinced by the changing phases of Lily's life. Her yearning for security and love clouded by her need for money. says Lily to the on-off-off-on love of her life Lawrence Selden (who, forgive me but I just wanted to slap around the mutton chops for his indeciveness and mistimed and misplaced interventions in Lily's life) as it becomes increasingly clear that Lily's scant and superficial resilience is going to run out any day. I heart Lily Bart and I heart Edith Wharton too. ...is The House of Mirth Edith's best novel?? I am begining to think it might be, with The Custom of the Country a close second of those I have read to date, but in my mind at least The House of Mirth remains as valid and as powerful now as the day it was written. And the next question is... should I now watch the film?? 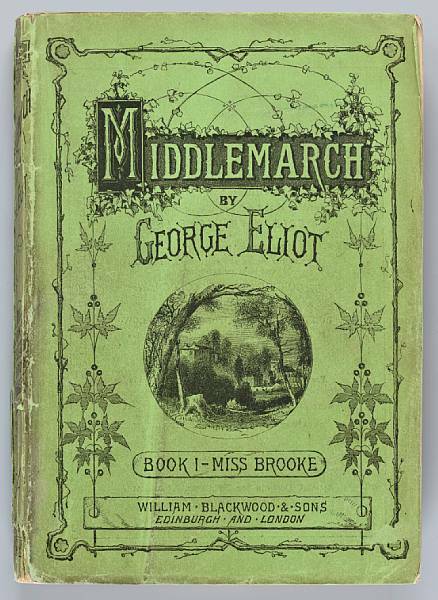 So having been on that virtual visit to The Mount, and hastened to the Edith Wharton shelf, the first novel I settled on for this little reading journey was The Age of Innocence. I read it in the old Oxford World's Classics edition with this cover picture a detail from An Evening at the Royal Theatre, Copenhagen by Paul Gustav Fischer. It made for perfect gazing as I stopped and pondered the book, all eyes very cleverly focused on a woman sitting alone and seemingly isolated. I think we've been through the whole 'Why on earth haven't I read The Age of Innocence before?' and I am confident that this Edith Wharton foray will yield some great reading before the trail eventually lures me off in another direction. I am sitting on (not literally) the new biography Nancy - The Story of Lady Astor by Adrian Fort though I don't know how long I can keep my hands off it. There are real local connections to pursue with Nancy given that she was the first woman MP and the seat she won was Plymouth, but I want to spend a while with Edith and the glittering world of Old New York first. Imagine that happening today...or does it?? By this time Edith was earning big money too, an $18,000 payment for The Age of Innocence along with further payment of $15,000 against royalties came as a welcome boost to the bank balance of a woman who was restoring and running two homes. Editors of the fabulous volume of Edith's letters that I am dipping into alongside my reading estimate that between 1920 and 1924 her earnings were approximately $250,000 (in 1988, the year of publication of these letters, that was calculated as about $3,000,000 in today's money) which gives much credence to her popularity whilst adding to the mystery of quite how and why Edith fell out of fashion for some years before a resurgence in the 1970s. It would seem that not a great deal happens in The Age of Innocence. On the surface, and perhaps even more so to a 21st century reader, lives seem superficial and beset by boredom and monotony in the gilded age of wealthy 1870s New York. People don't seem to do much and pay lip service to the notion of work without breaking into a sweat whilst living off inherited money. This is a closed circle of 'old money' that admits outsiders, the 'new money', with reluctance, and of course I immediately saw parallels with rural life here. Whilst the community may not be quite so 'moneyed' there is much suspicion levelled by the old guard at those who seem to appear from nowhere, buy up a large country estate and proceed to live the life. Newland Archer and May Welland, living in their world of 'faint implications and pale delicacies', are betrothed and swiftly married at Newland's impatient insistence, and perhaps more out of convenience and convention than real love, and it is the arrival of May's cousin, the enigmatic Ellen Olenska, in the throes of a divorce from her Polish husband, that will gently upset the marital apple cart. I say 'gently' because this is Old New York, 'tumultuously' would be inconceivable within a community that has sufficient power and authority at its kid-gloved fingertips to ensure that everything is kept cleverly beneath the surface. Appearances must be kept up at all costs, so the possibilities are rarely given voice and only allowed to bubble up through occasional cracks. It is never made clear quite what makes Count Olenska so dreadful that to return to him would be unthinkable, but lawyer Newland works tirelessly on the divorce inevitably becoming besotted with Ellen in the process. May is not quite the dupe she would seem and plays a canny game with her husband, leaving the reader in no doubt that she is fully aware of what is happening, though Newland might be too blinkered to see it. Under no circumstances will May relinquish her husband and herself to a life of scandal, and when matters do come to a head it is the tribe that steps in to support her, and with such devastating precision at a dinner party. For me, Edith Wharton's skill rests not only with her depiction of this elite, insular, tight little citadel and her barely diguised disdain for it, but also in her acute observance of the social nuances and the motives behind them. Moments that added up, piece by piece to a complete understanding for this reader. The ending, which of course I won't reveal, is replete with yet more unspoken anguish as it becomes clear what fate has awaited those who tried but failed to break free. Every so often I am drawn back to our Edith. Edith Wharton that is. I'm not sure I know of any other literary Ediths, though doubtless someone will now think of another ten....and I have just thought of Edith Pargiter so will get that one in first. Perhaps it is snowing and I feel the urge to read Ethan Frome yet again, or perhaps I glance at the shelf and realise I still haven't read half of the novels. This time around it was a visit to The Mount in Lenox Massachussets that did it. Not that I budged from my armchair mind you, no I leave all that hoohah about locking up the house and getting to the airport, and checking in for the long haul flight and coping with the jet lag, and racing around another continent and driving on the other side of the road, and then back home to piles of post and washing and the empty fridge, I leave all of that to Barbara at Milady's Boudoir. As well as meeting up whenever she has schlepped down west for a visit I tag along on Barbara's virtual literary travels with her too. So recently I had an email along the lines of ' Send me your address, I am 'somewhere' and I want to send you a postcard.' I duly obliged and then a week or so later this postcard appeared..
And then followed Barbara's blog posts about her visit to The Mount, home of Edith Wharton and a wander around the grounds and I was completely inspired. ...and gathered together a great big voluminous pile of Edith and started browsing uncontrollably. And it is at this point I have to confess that I have never read The House of Mirth. ...and there, in one of the books in front of me the newspaper cutting that I had sensibly kept and even filed in the right place for once, about the sale of those books and their eventual return to their rightful place at The Mount. I had known that the books had been retrieved from the Saltwood Castle home of MP Alan Clark and eventually sold back to the U.S. by a Yorkshire man, but I had no idea that Colin Clark, brother of Alan and son of Kenneth Clark had been Edith Wharton's godson and had been left the books in her will. Then I have to decide what I am actually going to read. Rather than twenty pages each from ten different books...which particular one am I going to settle on. I really would like to read Hermione Lee's biography but haven't managed that yet though I do browse it, so I settled on the much 'lighter' (and with lots of pictures) one by Eleanor Dwight. I am going to head for some of the short stories too, because the new Persephone short story collection has me right in the mood having read Edith Wharton's Roman Fever in there. I had read it before but it still has the power to surprise, surely one of the most perfectly formed short stories with its delivery of that quietly satisfying knock-out punch in the last line. You can read Roman Fever here and please do let me know if you agree. In the end The Age of Innocence was first up amongst the novels, and yes I too was mystifed as to why I hadn't read that either. I have finished that now, and for those who *gasped* backalong you will be very pleased to know I have finally moved on to The House of Mirth. All I can say about that is *gasp* what an amazing book so far. So how about you... your favourite Edith Whartons?? Finding myself in mid-Edith Wharton Fest, and gathering together all the books by and about her that I possess, I came across a thing of beauty... a little Hesperus Press edition of Fighting France - From Dunkerque to Belfort by our Edith in the War Cabinet. This is a rather grand name for the £10 bookcase with sliding glass doors (clever Bookhound find) where I keep all my war-related reading. 'Opening in August 1914, as the onset of the First World War is announced to a sunlit Paris, Edith Wharton's chronicle of her experience of the front lines powerfully evokes a country and a way of life under threat. a good little book for a very different perspective, and that of a woman. Interestingly too Fighting France was published in 1915 having first appeared as a series of tmely and informative articles in Scribner's Magazine, and at a time when many foreign corrsepondents were still excluded from the war zone. However, the publication in 1923 of Edith Wharton's novel of the Great War, A Son at the Front was considered mistimed and misplaced. J.B. Priestley of the opinion that the novel had arrived at the wrong moment according to Mary Conde, in an essay I discovered in one of those books that sits on the shelf in case it comes in useful one day, Women's Fiction and the Great War (edited by Raitt and Tate). Either too early or too late, though belated and out of date was the general consensus, with people finding it too painful to go back and look at such recent sorrow and pain... and looking at that cover on an early edition it is not hard to see why. Please do keep your Women in War reading suggestions coming, I will compile a list as a blog post this weekend. Mixing the wars for a minute, the Tinker is already reading Jude's suggestion Fifty Years of Silence by Jan Ruff O'Herne, harrowing and courageous in the extreme is his verdict so far. His was one of the ships that brought prisoners-of-war home from Japan at the end of the Second World War, so he is no stranger to the aftermath...yet still he is shocked. Goodness...how vital all these primary source accounts are. Despite having a stack of varied and engrossing books on the go I suddenly felt the need to break into more of that tempting display of Hesperus books I waved in front of you last week.I decided on comfort zone, familiar territory and readable in one sitting because those sort of reads offer a unique experience, it was to be The Touchstone by Edith Wharton. The house was quiet, which is rare at the moment, but the kitchen was a bit of a mess, which is not rare. I'd been left strict instructions not to waste precious home-alone time clearing up but to indulge in other more pleasurable tasks. Who am I to disagree? So I closed my eyes as I walked through, made a pot of tea and settled down with Edith. I hadn't read The Touchstone before but I knew, just knew, that I was in the familiar waters of an Edith Wharton read. "As he turned into Fifth Avenue he caught the wet gleam of carriages on their way to the opera, and he took the first side street, in a moment of irritation against the petty restrictions that thwarted every impulse. It was ridiculous to give up the opera, not because one might possibly be bored there, but because one must pay for the experiment"
Who else writes about New York society like our Edith? In a previous life in the UK, Stephen Glennard has been the object of infatuation of a celebrated lady novelist. Eventually fleeing the continent to escape the unwanted attentions of Margaret Aubyn of whom Glennard felt "genius is of small use to a woman who does not know how to do her hair" the letters of adoration appear thick and fast and all unrequited. Following her death Margaret Aubyn has become a national treasure and the public is hungry for anything and everything about her. With this sudden interest in her life comes a call for any available letters and of course Glennard has drawers stacked with them. Selling anonymously he may as well have sold his soul as the full extent of his turpitude and perfidy (I've lifted these two wickedly expressive words from Salley Vickers foreword and plan to use such gems on a daily basis) becomes apparent to all and sundry who read the book of letters when it is published. This is vintage Edith with a fascinating debate about some of the moral issues surrounding the publication of personal correspondence and having read Salley Vickers foreword and then substituting George Eliot for Margaret Aubyn I saw the book in a whole new light. Lest I stood accused of perfidy and turpitude myself I did wander off and sort out the kitchen but hardly noticed I was doing it as I pondered this remarkable little book.